Sage homes newest neighborhood in Wellington. 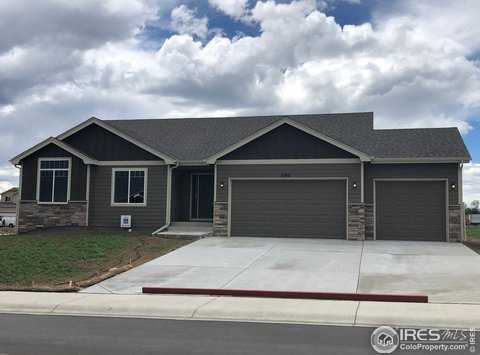 Popular Cimarron Ranch including 3-car garage w/ 8′ doors & Granite counters in Kitchen, FP, pre-wired for A/C, upgraded cabinets, huge walk-in pantry and fantastic 5 piece master bath. Large corner lot, full unfinished basement with rough in plumbing and passive radon system. Front yard landscaping included and $4000 for using preferred lender. HOA fee includes trash, non potable irrigation water, greenbelts, trails and future pool! Please, send me more information on this property: MLS# 857821 – $387,341 – 6901 Sage Meadows Dr, Wellington, CO 80549. I would like to schedule a showing appointment for this property: MLS# 857821 – $387,341 – 6901 Sage Meadows Dr, Wellington, CO 80549.